First step to get out of the Rat Race is to admit that you are in it, and realize that you have to do something about it in order to get out vicious cycle. Sadly enough, most of those who are in a rat race, doesn't even realized that they are in one. Acknowledging it is really crucial, because if you don't even know that you are in one, then you'll probably be trap in it forever. 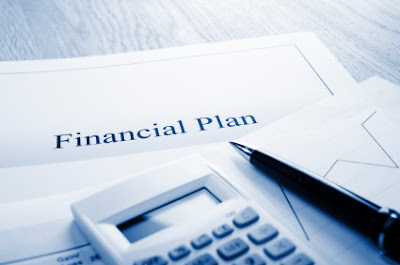 Set a financial goal and have a long-range plan to reach it. I once heard quote from the "Art of War" by Sun Tzi, "Every battle is won before it's ever fought." I believe this is the same when trying to escape the Rat Race to achieve your Financial Freedom. You'll need to plan it, figure out the financial strategy in order to achieve it. This usually involves knowing where you currently sit financially. Know the difference between your assets and liabilities. Remember your car, the big house you live in or anything that takes money away from your pocket is NOT an asset, but they are your liabilities. In addition, know how much your monthly income and expenses. if you have difficult time to keep track of your finances, I suggest using Personal Capital free service. It's going to safe you a lot of time and the hassle. The best part of it is that it is so convenient and available in any smart mobile device which enable you to keep track of your finances anywhere in the world. I guess there's no more excuse of not becoming financially organized. 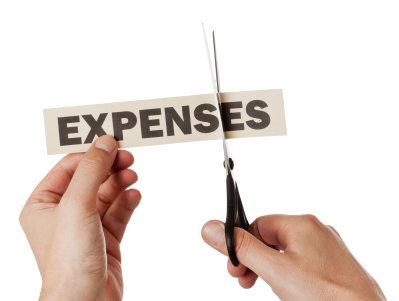 Figure out a way how you can cut unnecessary expense so that you are able to save up more money. The importance of wealth creation is not how much money you make, but how much money you are able to keep. For example, I have a friend who makes way more money than me annually but he save way lesser than me. I don't know the reason why he's not able to, but I guess he wants to spend more to compensate the hard work he does. The point is being able to save up more enable you to get out of debt quicker and also start investing early in life which can lead to financial freedom. If you have a difficulty time saving money, then I would suggest you to follow my steps. What I personally like to do is after I receive my monthly salary paycheck, I will put aside the a fixed amount of how much I want to save into a different account. I think this works best for me since I would only have the renaming amount of money to be spent. Only having that remaining portion amount of money left, I will tend to be more conservative with my money. I'll end up creating a monthly budget in order to spend the remaining amount of money wisely. You'll need to be determine & discipline when it comes down to saving and budgeting. It's important to not let your emotion control your finances. If the product is beyond your budget then you should find a cheaper alternative. Learn other saving tips so you can get big bang for the buck. It's quite difficult to get a second job if you are already working a nine to five schedule. What you want is to create a passive income stream that will pay you over and over again for the work you put into a business or the money that you put into work. An example of a passive income business that I'm currently working on is actually this blog. 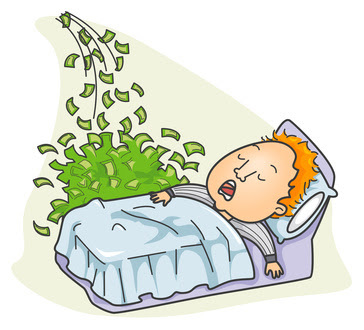 My wish is for that one day I can monetize this blog with Google Adsense which going to create passive income for me. I also try to do everything myself. This is a great way to safe cost in your startup business and ultimately you'll learn something valuable for yourself which will enhance your knowledge. Another great example of a passive income stream and also one of my favorite is my Dividend Growth Portfolio. I am invested in high quality dividend paying companies that's going to generate passive income for me. This is a great way of investing since you are able to create this snowball affect to your portfolio where you reinvest the dividends you collect into more great valued companies and let the portfolio compound itself. It will be even better if you are also contributing additional money that you saved up each month to your portfolio which can amass you with great wealth. In the end of the day, it is our decision that will lead us into the future. Even though we are all still trap in the Rat Race now, we all have a choice to make, and the sooner we get started in the right path, the sooner we will reach our financial freedom. A dream that you’re no longer stressing over your everyday expenses is like nothing else. we want to create as much cash flow from our active and passive assets. Increased cash flow automatically increase the worth of the asset. We have to view ourselves as active asset. A promotion or added skill increase the cash flow of you, thus increasing the value of you as an asset. So educate, learn a new skill, and promote yourselves everyday. We also have to have passive assets such as investments in property or businesses that you do not have to be directly involved day to day. Its okay to be adding expense to the property or business as long the expense are revenue generating or value add. This way, you will increase the worth of your asset over time. Yes I totally agree with you Wabbit. 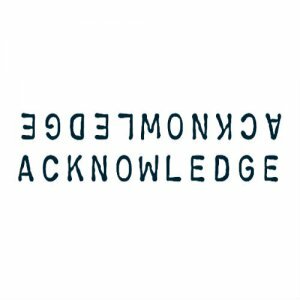 I am also increasing my self-knowledge as an active asset. I am currently reading many investment books to increase my knowledge and understanding to investment. I am also watching many YouTube tutorial videos as well. I think a big part of getting out of the rat race is mindset, and a real determination to get out of the rat race. Dave Ramsey says you have to be sick and tired of being sick and tired. I agree. I also agree with the contents of this post. A lot of people realize that life is tough but they don't have hope for the future because they can't see their way out. A lot of other folks know there is a problem, but find it very difficult to change bad habits. What I think we need to do is start creating good habits - even by starting small. I'm am doing the dividend growth strategy myself as a way to help me get out of the rat race. I'm building my own portfolio VERY SLOWLY, but it's moving in the right direction (up). I use my own spreadsheet to help me stay on track. I didn't know about Personal Capital until you mentioned it. It seems like Mint, but I'm not sure. In any case, I like to enter things manually and track expenses regularly. Thanks for visiting and taking your time to read my article Data Lore. I hope your dividend growth portfolio will be successful and give you the financial freedom you need.